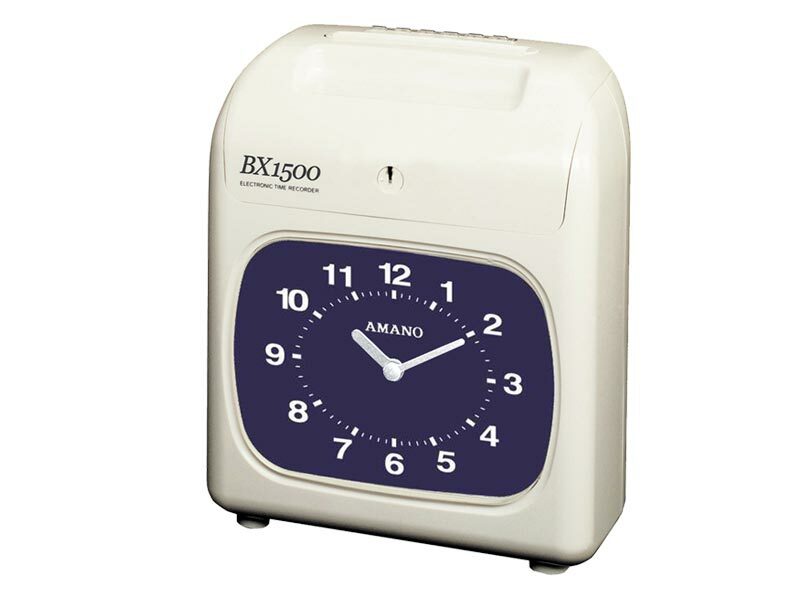 The Amano BX-1500 time clock provides simplicity, value and affordability to small businesses. This push button operated time clock accommodates up to six punches/columns per day. Just simply press the “In or Out” button that aligns with your desired punch column and insert the card in the top feed.